Transport Security Expo is launching a brand new feature this year in conjunction with the Home Office – the Future Borders Experience. 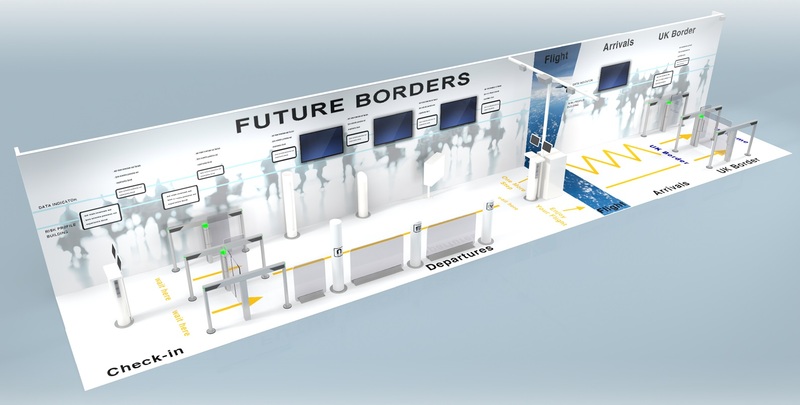 The Future Borders Experience will provide a unique insight into next generation border security capability both through its exhibition features and presentations in a dedicated theatre. The aim is to highlight the potential for ‘frictionless passage’ through a typical border. Visitors will be asked to register using a finger-vein biometric and will be given simulated travel documentation. They will then use the biometric and travel documentation to pass through entry gates to a security screening process involving various detecting technologies. The output from some of these detecting technologies will be relayed on large screen TVs facing the general exhibition area so that other Transport Security Expo attendees can follow what is happening. A large display at the rear of the experience will explain the different processes and data flows involved in a border of the future. To protect their privacy, visitors will be given fictional identities and all electronic data will be deleted upon departure. Representing a first for the security industry, Future Borders Experience has been designed to bring all the elements of border security together and highlight the need for cross-sector collaboration. This is a theme that will be reinforced by a number of the speakers who will be appearing in the Presentation Theatre, including representatives from the Home Office, the Department for Transport, the UK Border Force, the National Crime Agency, ADS, Heathrow Airport and King’s College, London. In addition to border security, other sectors at Transport Security Expo will include aviation, maritime, rail and major events transport security. Supporting the exhibition will be the conference programme which will be open to all visitors to attend, free of charge, on a first-come, first-served basis. The sessions will feature some of the most renowned opinion leaders from across Government, industry and the academic community.